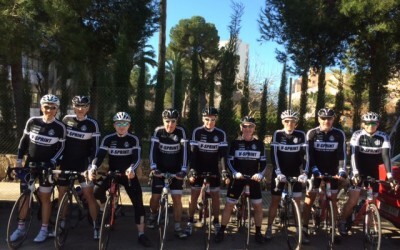 V-Sprint once again teamed up with worldvelocamp to offer a training camp in Mallorca in March 2018. Training camps offer a choice of daily rides to suit different abilities, these are structured throughout the week to include longer days and recovery rides. Each ride has a leader and can be tailored to individual needs and requirements. Non riding guest are welcome to come along. 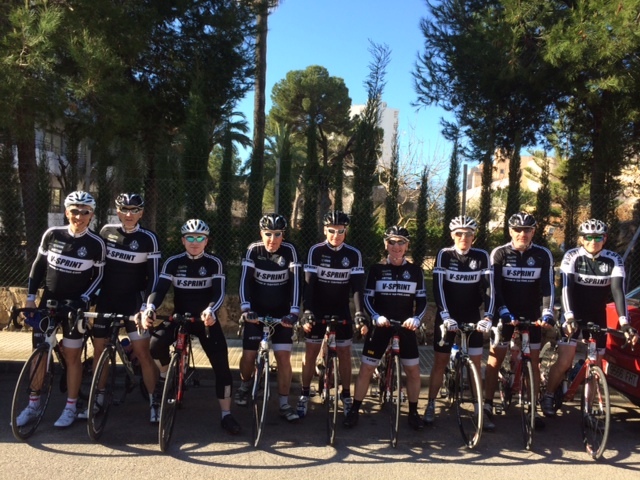 In 2013 Jim Varnish and Andy Hurst Went out to Mallorca and met up with worldvelocamp. Having a good understanding of what was available to our club members, impressed by the organisation, hotel location and facilities they recommended the camp to the club. 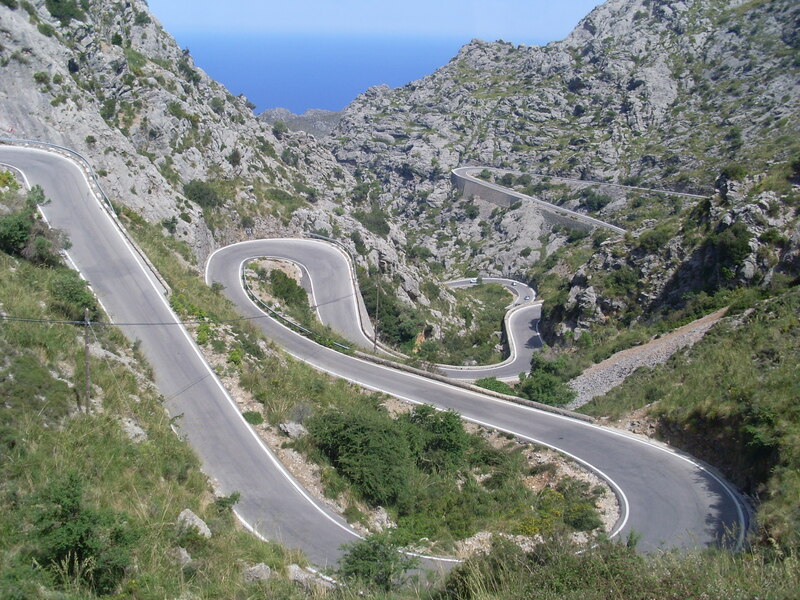 The roads in Mallorca are very good and the culture is orientated towards the cyclist. You will be riding in a group of 20-30 riders, for distances of approximately 60 to 80 miles depending on the terrain. A briefing session is held every evening to discuss the route for the next day and there are often a few choices on offer. 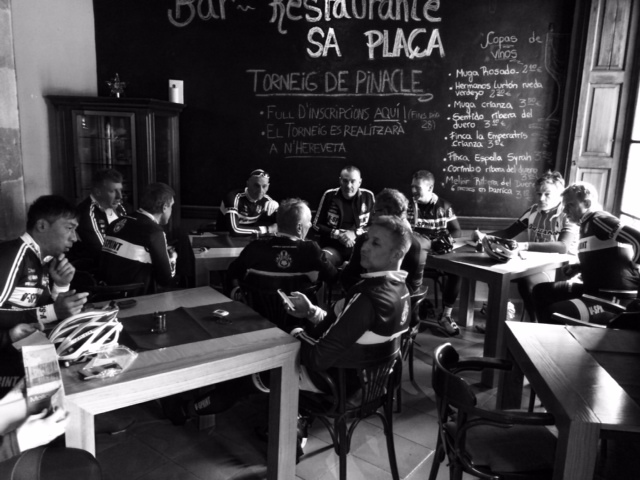 Each ride has a ride leader who will guide you around the route, make sure the group remains together and will organise a coffee stop on route. The group will be made up of similar minded club riders, keen to improve their strength and ability. 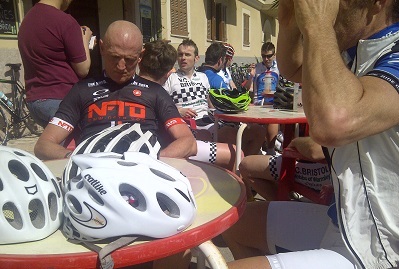 Don’t be surprise if, when going flat out, you are passed by a PRO team in training for the season ahead, It is estimated that, at this time of year, 10,000 cycling ‘tourists’ are on the island at any one time. Leave Palma and head north through the villages to Santa Maria del Cami, then on to Bunyola. A 20 mile section climbing from see level to 600ft. You then have a 5 mile climb with gradients of between 5 and 8%, drop down in to the valley and ride to Orient, a short climb out of the valley and it’s time for a 5 mile down hill. The road sweeps down and, after some tight corners at the top, opens up allowing you to reach speeds in excess of 40 mph with ease. A short ride from there in to Lloseta for a coffee and light lunch (40 Miles). From there back through the lanes to Sineu, on to a main road for some speed work, and before you know it you have covered the 20 or so miles back to Palma. 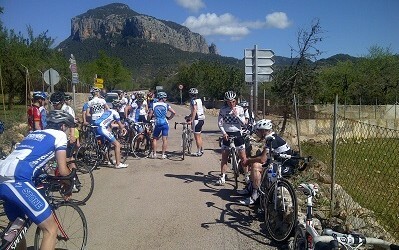 And for the experienced rider/racer … The Spanish Club Run. 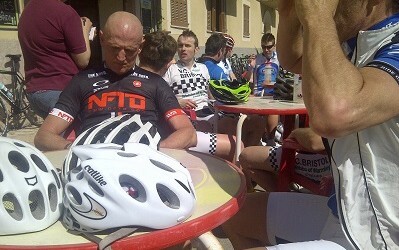 Not for the feint hearted, this is a full on, high paced ride, with ex pro’s and the local elite who live on the island. Expect to ride at your maximum effort and use all your experience, where the only standard of riding allowed is excellence !! !